Application sets are pre-defined collections of applications to launch. Go to Settings > Manage Web Application > Application Launch. Click App Sets > Applications. To add applications to the application set, right-click the application set. Select Add applications to set. Select all the desired applications and click OK.
To view the applications added to an application set, expand the application set. 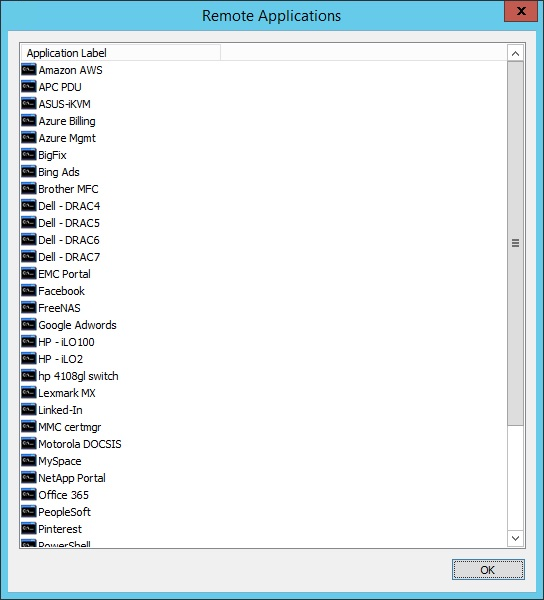 Once application sets are defined, users who do not have All Access must have application set permissions and application permissions set. 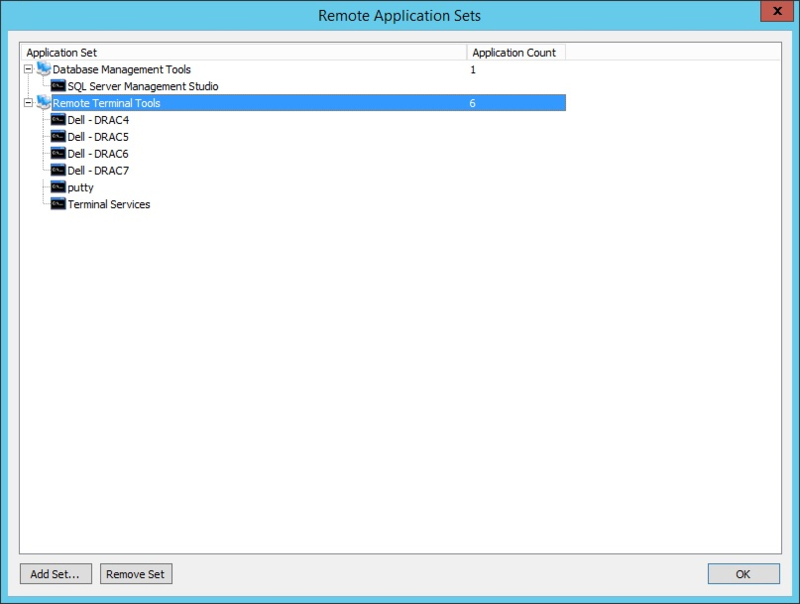 When a user does not have All Access privileges, additional permissions are required to launch a specific application. 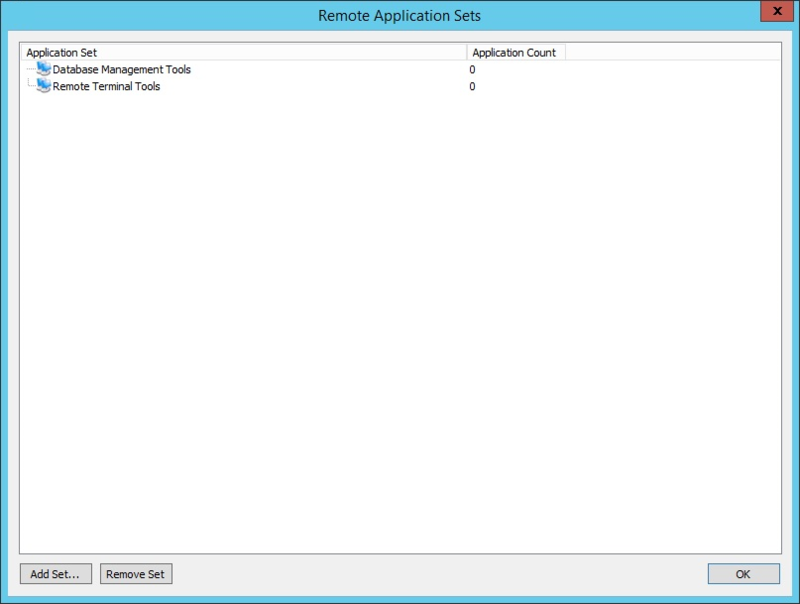 Use the management console to define these permissions. 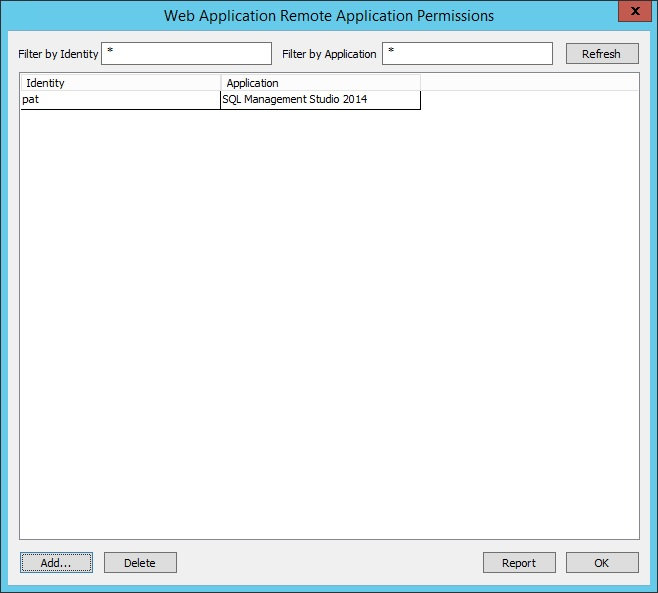 Choose Delegation > Web Application Remote Application Permissions. Select an available identity and click OK. Select one or more applications the user can launch. 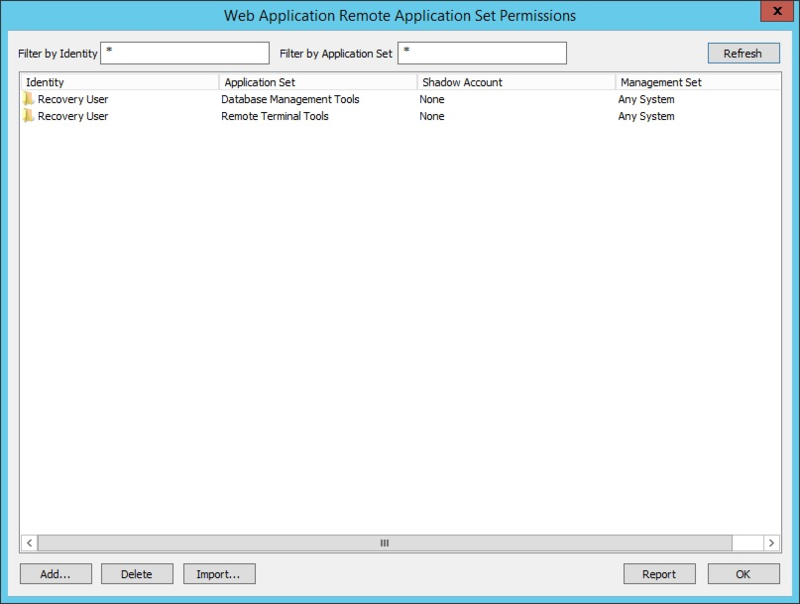 Choose Delegation > Web application Remote Application Set Permissions. Select from the available application sets and click OK. If a Shadow Account is used, click Yes. Enter the required information. Otherwise, click No. If there are system restrictions, click Yes. Enter the required information. Otherwise, click No. Select the applications users are able to launch from the website.